There are millions of Australian family history records available on Findmypast to help you follow your ancestors on their journey through the land down under. Here's where you need to look. 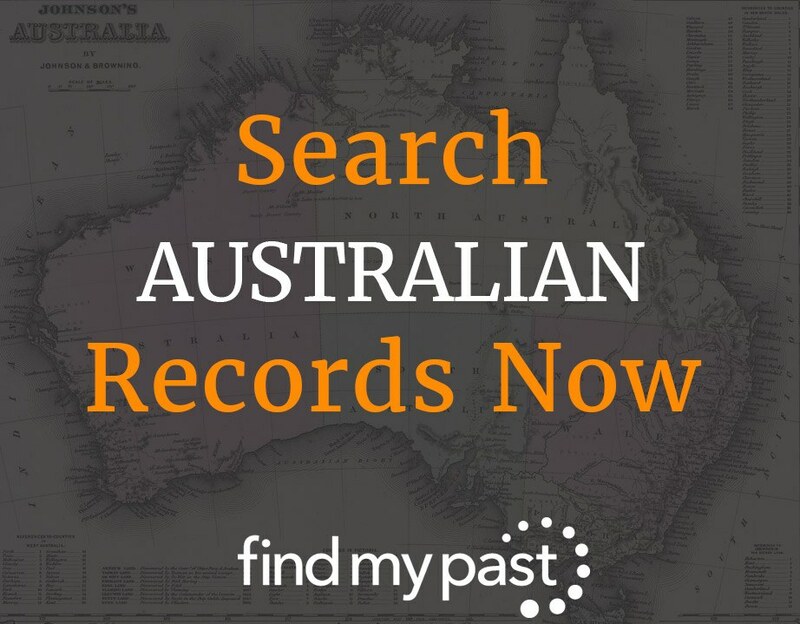 From electoral rolls for every state, through to extensive ANZAC collections and exclusive wills and crime records, Findmypast is one of the best places to source the records you need when tracing Aussie ancestors. To help your search, we've compiled a list of the highlights of our Australian collection. We've got birth, marriage and death records from all six Australian states. Use these essential collections as the building blocks for your Australian family tree. You'll also find certain collections that are unique to Findmypast including the detailed New South Wales Will Books 1800-1952. If your family member served as an ANZAC, you should be able to trace them in our comprehensive armed forces collections. Highlights include Australian Imperial Force Embarkation Roll 1914-1918 and the All Australia Memorial. With millions of people migrating to Australia over the last three centuries, travel collections can be key to unlocking details of your family's past there. There are over 42 million resources to explore, including our Victoria Inward Passenger Lists 1839-1923. Search for felons in the family among millions of records, many exclusive. Try the Victoria Prison Registers or Australia Convict Ships 1786-1849 for example. If your ancestor returned to settle land in Victoria after World War 1, you may find their land lease in these records. John McEwan, Australia's 18th Prime Minister, can be found applying for land at the age of 19, for example. Those ancestors who called Australia home will likely be found in these records. Notable names include Australia's world famous soprano Dame Nellie Melba and father of the Eureka Stockade Peter Lalor. It's a hard truth that moving country can prove detrimental to the mental health of many people. Unlike today, few people had access to the help they needed, instead being sent to mental health institutions. One 11 year-old boy was admitted to Kew for being an "imbecile", while others were taken in for conditions such as melancholia or epilepsy. One famous entry includes Edward/Ellen De Lacy Evans, who was born female but lived as a man for 20 years (and married thrice).